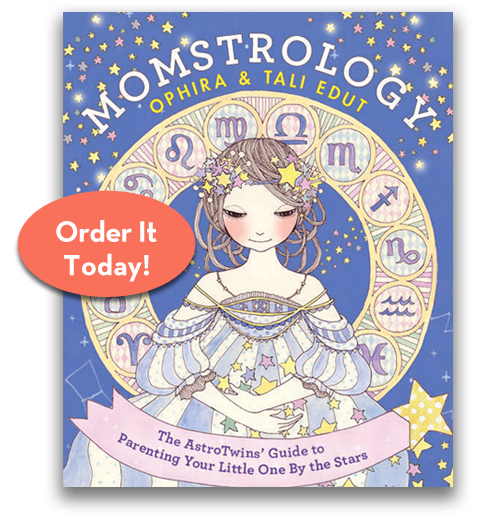 Cancer rules the zodiac’s fourth house of motherhood, so you’re a natural nurturer. You loved being pregnant, coo over every infant, and are the first to buy gifts on your friends’ baby registries. Family is everything to you, and you’re not shy about showing it. You picked out baby names in grade school, and probably nurtured a pet, a doll or babysitting clients from a young age. Cancer rules the chest, so breastfeeding may have been a cherished bonding experience you hated giving up (hello, La Leche League president). Holidays, family reunions, showers—you’re in your element, hosting them, baking, cooking, and planning. You’re the mom who actually prints and frames all those digital photos or makes bound books every Christmas, while the rest of us guiltily leave them on our hard drives. (Way to make the rest of us feel like slackers, Crab.) This sentimental side is the glue that holds your family together, and gives your kids the security that you’ll always be there for them, no matter what. Early childhood development is your specialty, whether you have a degree in it or not. You’re delighted by the things kids do, and you respect their feelings—something few adults can claim. Our grandmother Sophie, a Cancer, used to spread huge sheets over her fancy furniture and let us run amok with crayons and scissors. We grew up confident in our creativity as a result. That’s your magic touch, Cancer—the love and attention you give to your children’s unique gifts. Because children are so emotional, you’re able to intuit when yours need a hug, some encouragement, or a little direction. You might just be the mom that your children’s friends confide in, the one who takes in the neighbor teen when he’s fighting with his parents. You’ve got a soft spot for misunderstood children, because you were probably one yourself. The Beatles said it, and you live by it: all you need is love. Toddlers & Tiaras? A Facebook account at age 10? Hell to the no! You want your kids to be shielded from the big, bad outside world that tempts them to grow up too soon. Who wouldn’t? That’s a noble value, Cancer. But there’s a thin line between caring and coddling at a certain point. Knowing when to cut the cord can be hard for you, because you’re a natural worrier who projects your own feelings onto your kids. Remind yourself: they’re more resilient than you think! You also tend to wear “mommy goggles,” filtering out some of Junior’s bad habits and traits. Be careful, because you could end up with a spoiled diva, a clingy mama’s boy or an entitled prince on your hands. It’s important that children learn boundaries and discipline—in fact, it’s part of loving them. So as much as it breaks your heart to call them out on their s***, it’s healthy for them. Don’t turn a blind eye to their behavioral lapses, because that’s actually the time that they need you—and your compassionate guidance—the most. Alert! Your emotions change colors faster than a mood ring. You can burst into tears, fly into a rage, sink into a funk, and bounce off the walls with excitement—all in a single day’s time. Unfortunately, when you have an infant, toddler or teen doing the same thing, all those unregulated mood swings can create sheer chaos. Lean on a posse of supportive women, a therapist, or your own mom when the going gets tough. You were born without an emotional filter, so you’re never going to be able to shut off your feelings. Just learn the proper way to channel them so your kids don’t get taken along for the rollercoaster ride, which can be scary and unsettling. Same goes for fighting with your partner in their earshot, or even trying to recruit them when you’re fighting with daddy. It’s YOUR job to protect them, not vice-versa.